Cardinal Puljic addressed the Holy Father’s comments saying: “The Pope, however, only wanted to say in some way to some visionaries who cannot live what they do and then make a media show of Our Lady saying she will appear at what time and when. He told them there is more need to turn around and listen to the Church, which is still studying the phenomenon of Medjugorje, and it shall make its own judgment. Cardinal Vinko Puljic was initially considered a skeptic of the Medjugorje apparitions, but since studying them on the committee has publicly spoken of the phenomena positively, calling it the largest confessional in Europe. Thank you so much for your comment about Medjugorje!!! I have seeing my entire family to grow deeply in the love of God and Blessed Mother!! I have taking there many pilgrims that have grown in their ffaith. I have seen very many spiritual and physical cures !! This is a very holy place and so are the visionaries that have dedicated their lives to spread the messages.!! Why not encourage the people and pastors to lead the pilgrimages? ?the flock is beeing deprived of feeling so close the LOVE OF GOD THE FATHER AND THE HOLY TRINITY A S WELL AS THE LOVE OF THE BLESSED MOTHER AS WELL AS LEARNING TO LOVE THE MASS, CONFESSION ,FASTING, ADORATION, And Praying THE ROSARY THE BEST PRAYER TO PROTECT YOURSELF AGAINST THE DEVIL!! 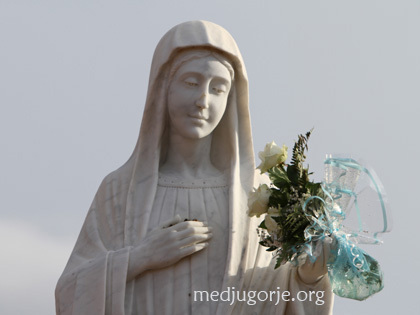 The only thing that it is felt in Medjugorje is love and peace!!! 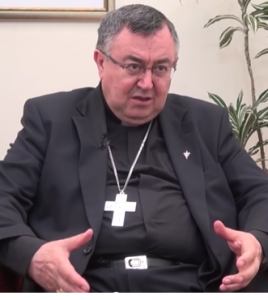 Previous post: What does the Nuncio’s Letter to US Bishop’s Mean?